In my opinion faculty members were best part of my college highly qualified and experienced . I think college must give attentions towards their hostel facility which was a headache for a middle class family students like me, rest other things was ok. 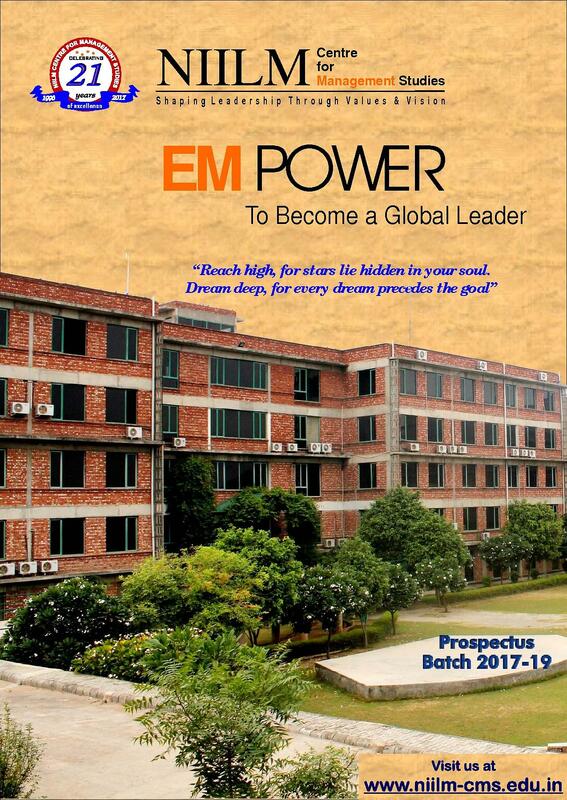 This is one of the premier B-school available in Delhi/NCR with decent study environment along with getting job opportunities. It was gud. But dey really need to improve on Hr dept so people planning to opt human resources is nt a gud choice here rather finance and mktin has bright future wid an Avg package of 5.5LPA. 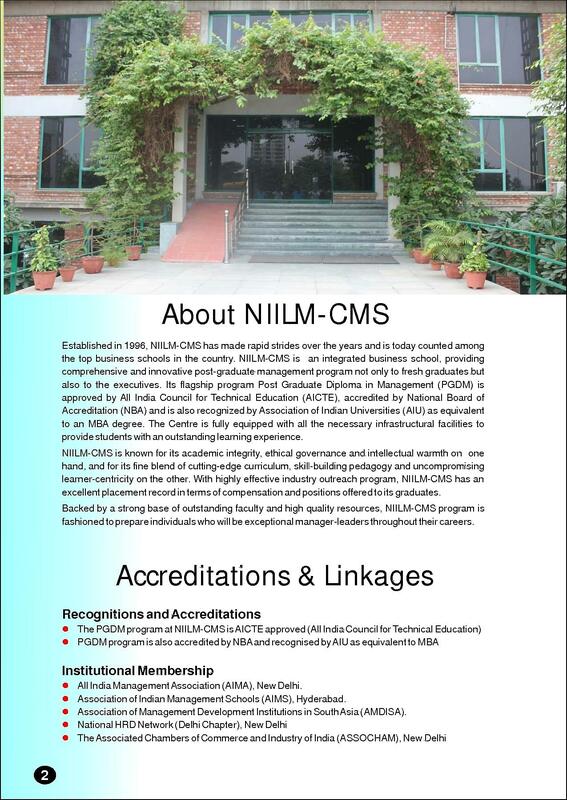 NIILM-CMS Greater Noida is among the country's most promising B-Schools over the last few years. It was established in 1996, for providing comprehensive and innovative post-graduate management programs not only to fresh graduates but also to working executives. 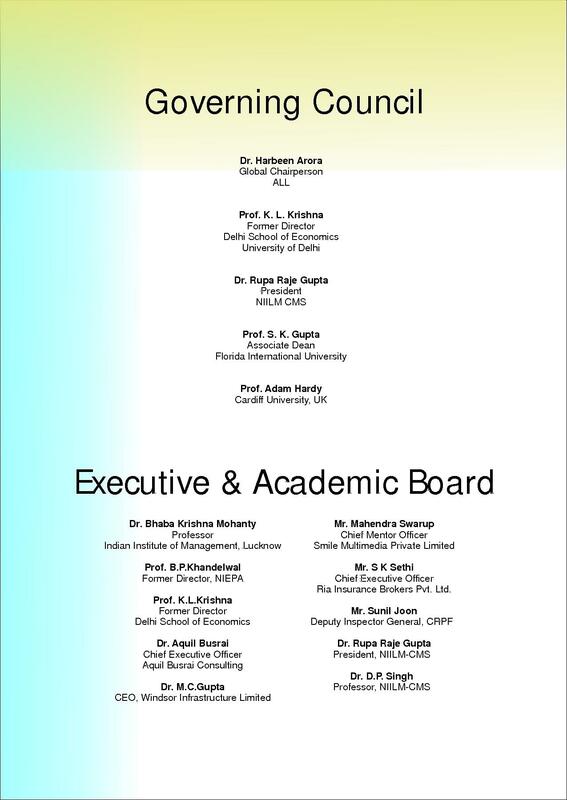 NIILM Centre for Management Studies is ranked among India 's premier business schools, and its efforts in managerial capacity building and human resources development in the country have always been accorded serious appreciation. Established in 1996, NIILM-CMS has made rapid strides over the year and is today counted among the top business schools in the country. According to the latest surveys the institute has been adjudged as the Best B-School in North India by Times Research Foundation and Best MBA College in North India by Brands Academy. 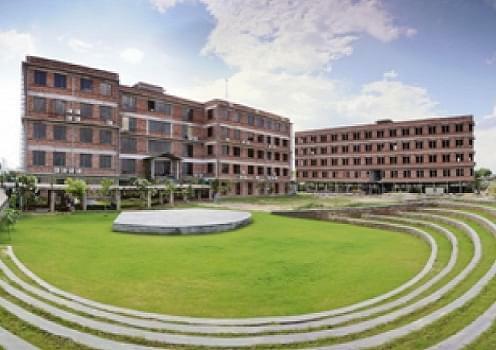 Prestigious publications like Indian Management, Outlook, Competition Success Review have been ranking NIILM Centre among the country’s most promising B-Schools over the last few years. 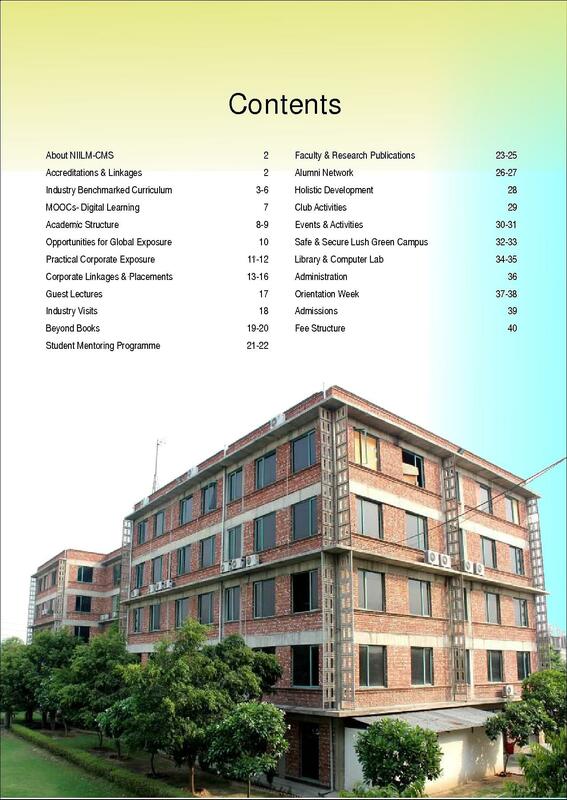 In the latest surveys for the year 2012 for instance NIILM has been considered among the top 10 business management institutions in the country. Nearly 1500 NIILM Alumni are working in responsible managerial and leadership position in Indian and Foreign companies today. The centre is fully equipped with all the necessary infrastructural facilities to provide students with an outstanding learning experience. NIILM Online library works round the clock to facilitate 24 x 7 x 365 access. Thirty Six thousand text and reference books, more than 75000 e-books, e-journals, online databases such as Ebsco Business Source Complete, Communication and Media Studies, Entrepreneurial Studies, Green File, Research Starters- Business, Newspaper Source plus, J-Gate, Sage Online Journals, CMIE databases like Prowess and Industry Analysis, IMF E-library and many more. 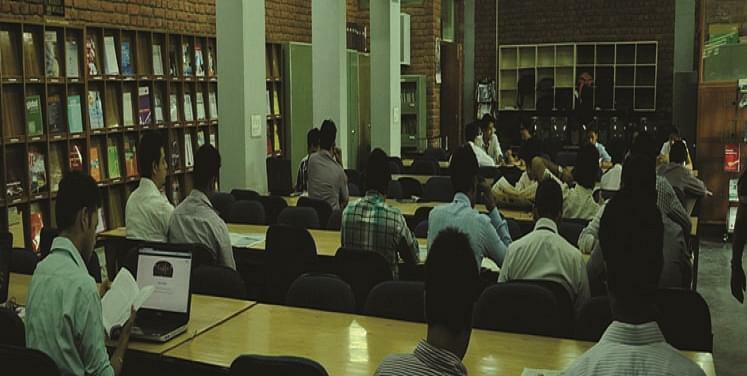 In addition to access of over 10000 full text online journals, NIILM library also subscribes about two hundred national and international printed journals. 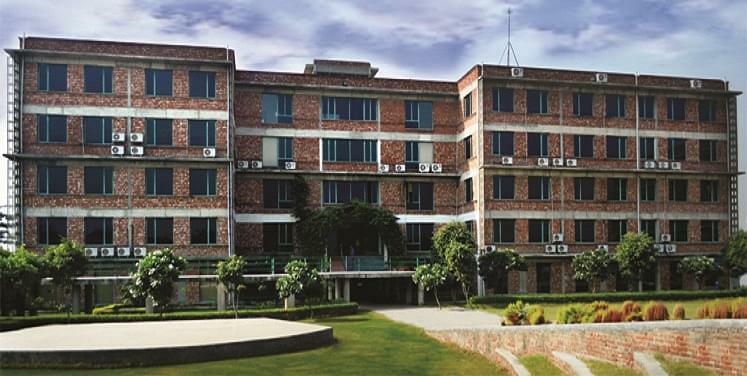 NIILM CMS has a state-of-the-art Wi-fi campus, which facilitates students to access global information wherever they are. The hardware is supplemented by various specialized softwares like SPSS, Oracle, Tally, Visual Studio, Power Builder, working on operating systems like Windows etc. 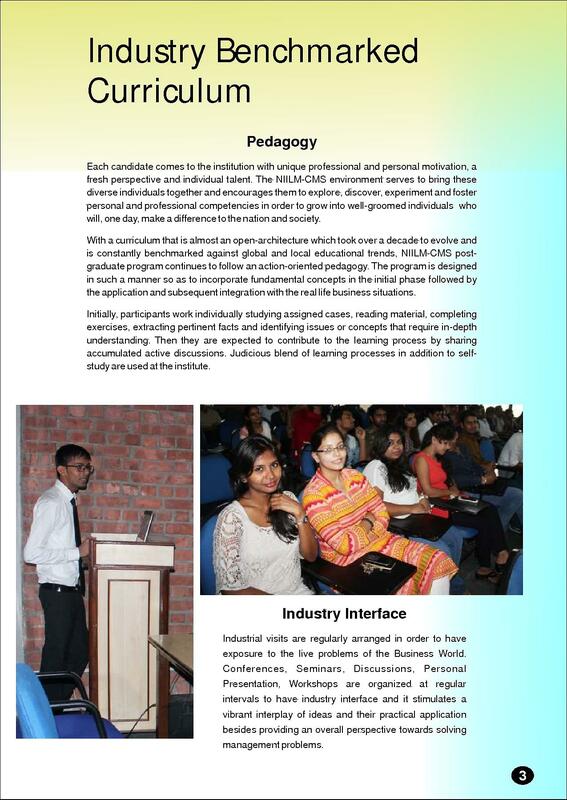 There is an EDUSAT system installed by AICTE / ISKD that allows NIILM CMS to be on a network with various institutes & universities in India for exchange of ideas, experiences and engage in debates and online interaction with the students of other institutes. It houses 12 air-conditioned classrooms with a seating capacity of 60-80 each. Other forms of teaching like interactive sessions, workshops, seminars, leadership exercises, management games, mock interviews, meetings and role-plays are organized in the seminar and conference room. CAT - scored 65 percentile i opted 4 dis college since it was that time located in bad arp ur nd shard a gud reputation also it was near to my house nd was giving some weithage to students having work experience.